The Mexican name sinicuichi is given to both the plant (Heimia salicifolia) and the drink that is prepared from it. The brew has a weak psychoactive effect, inducing a pleasant, slightly euphoric dizziness. There have been some reports of Sinicuichi causing a yellowish vision and mild auditory hallucinations. Mix up to 1 gram of Sinicuichi with 3 cups of water and boil for a few minutes before consuming as a tea. 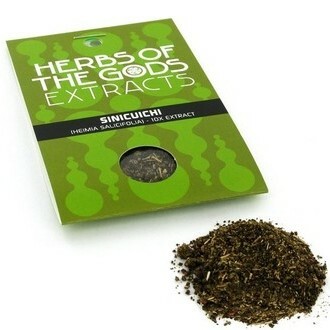 A pack contains 2 grams of sinicuichi 10x extract, equal to 15 grams of dried herb. 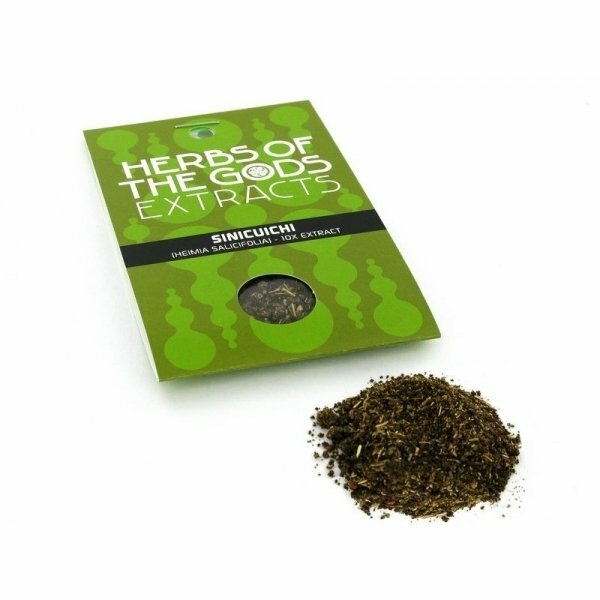 Sinicuichi leaves contain a number of alkaloids such as lythrine, heimine, sinicuichinine, anelsine, lyfoline, dehydrodecodine and the main active ingredient, cryogenine.